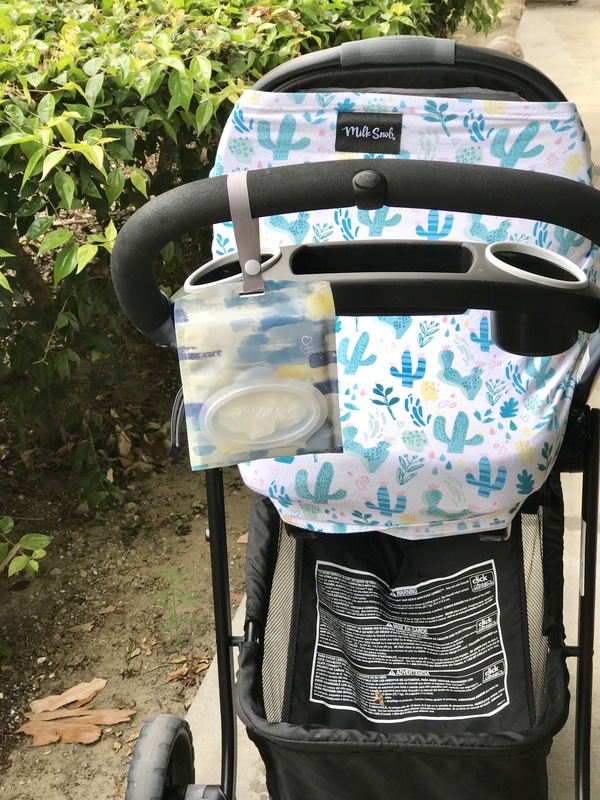 I pack our stroller with his stretchy cover to protect him from the sun, his pacifier just in case, a water tumbler for me, and a Kleenex Go Anywhere Pack because you always need tissue handy. 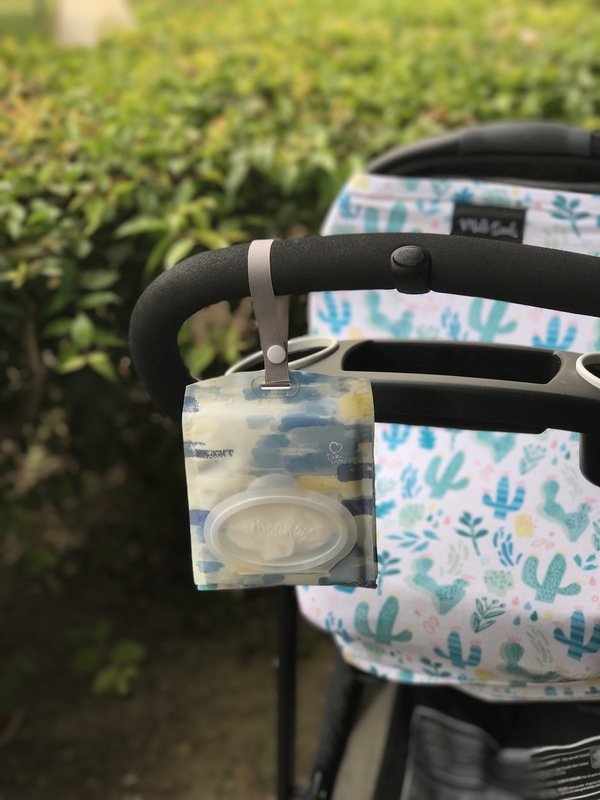 Kleenex Go Anywhere Packs are super cute and have a strap that you can clip right onto your stroller handle if you have little ones. I love the colorful designs printed on the reusable and refillable pouch. 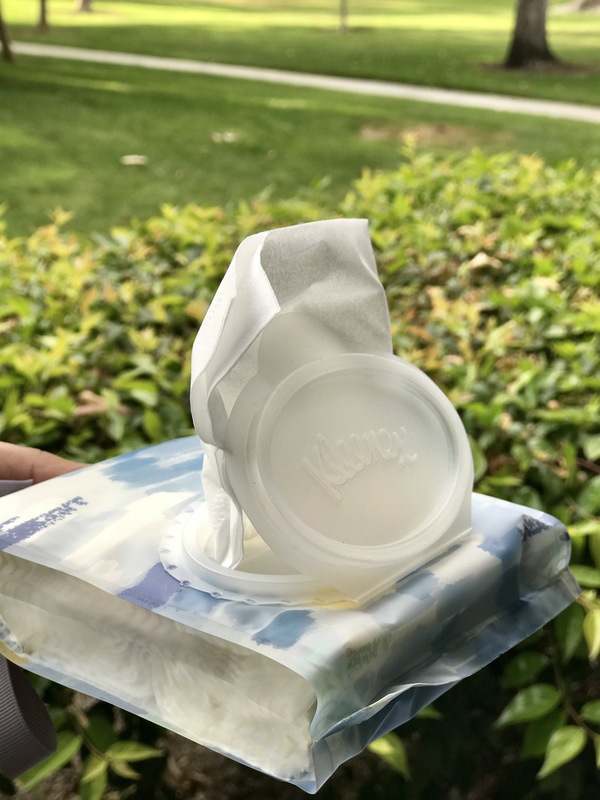 Each pack comes with thirty soft tissues inside, and has an easy open top which is great. 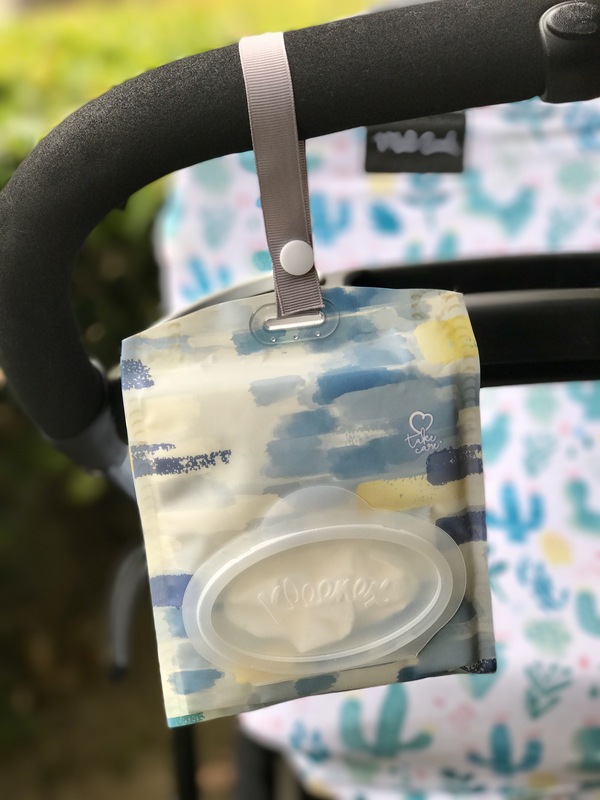 The on-the-go packaging is perfect for moms or for any person who is on the go. 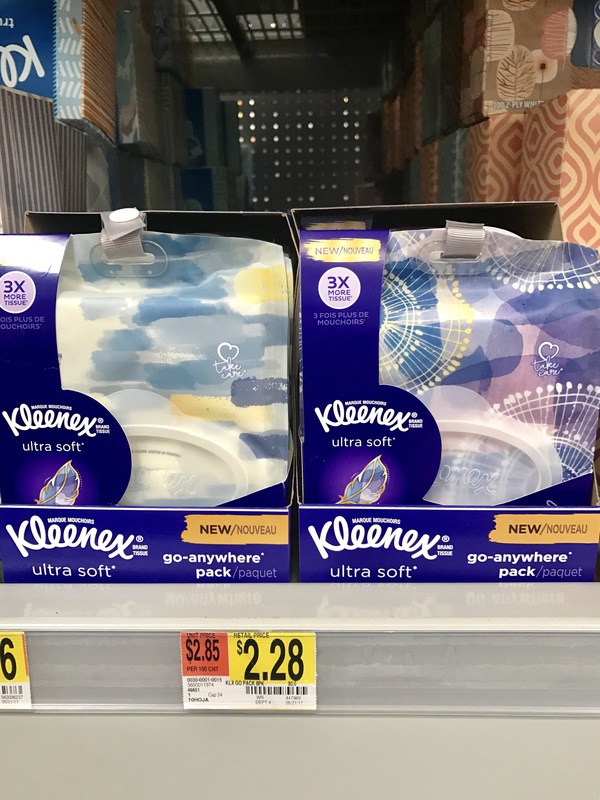 You can find Kleenex Go Anywhere Packs at your local Walmart. 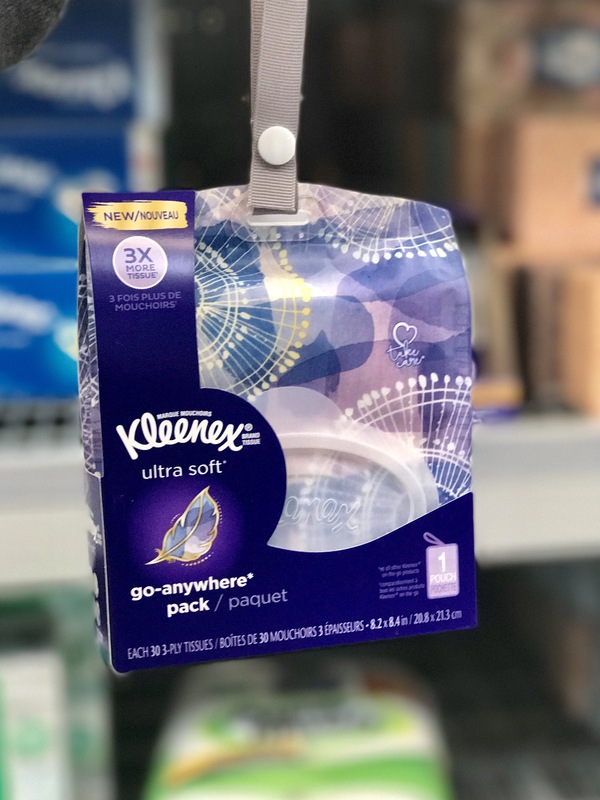 My local Walmart had a nice organized display of Kleenex products, and they had several pretty designs of Go Anywhere packs to choose from at a great price. You can also save even more money by using the Ibotta app with your purchase. Go Anywhere Packs are perfect for your beach bag, purse, diaper bag or car too. 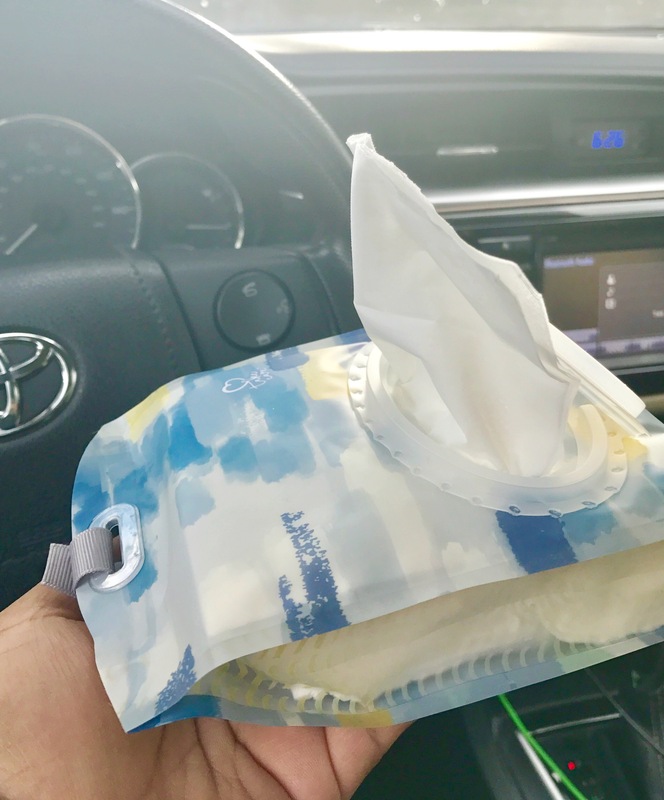 I’d much rather keep these in my car instead of looking for random restaurant napkins in there when I am in desperate need of a tissue. You know we’ve all been there! I look forward to more morning and evening walks with my little guy and all the fun summer adventures to come with my little family. 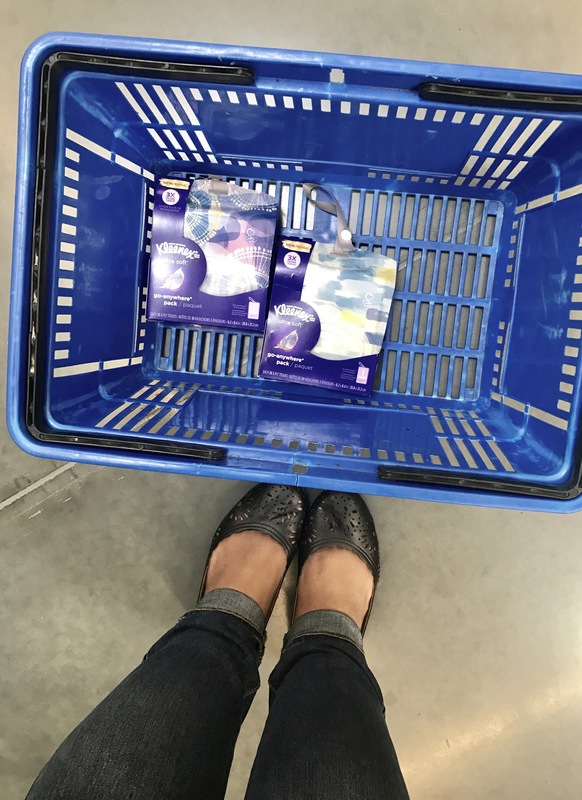 You know this mom will keep all her favorite products fully stocked!